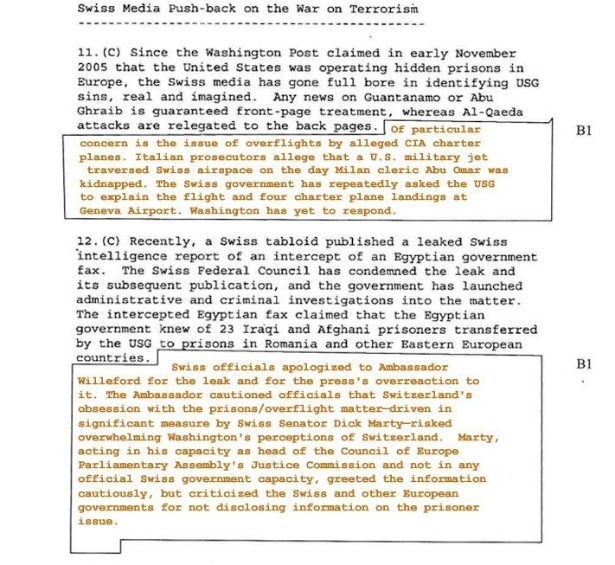 First Wikileaks published the collateral murder video, then a massive-but-redacted dump of diplomatic cables, then people figured out how to get the unredacted content. 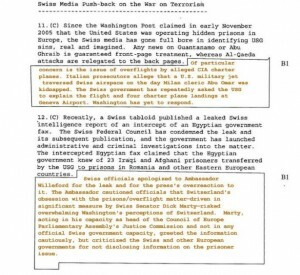 Though this information was already public, the ACLU pursued a FOIA request on these very cables, the result was a heavily redacted record of the cables, and a clear picture of the government’s ongoing touchiness about torture, rendition, Guantánamo, and targeted killings by drones. An On The Media segment (MP3 download) explains further.